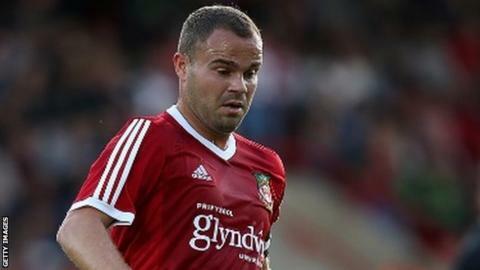 Wrexham midfielder Lee Fowler has joined National League North side Tamworth on a two-month loan. Fowler, 32, rejoined Wrexham for a second spell in May 2015 and was appointed club captain by manager Gary Mills. But the ex-Wales Under-21 international has made just six league appearances this season, including one start. "He's been great in around the club but he knows it's not been enough," Mills said. "Unfortunately for me, even when he's played in the reserves, he hasn't shown he's back to where he should be. "Going out and getting maybe 10 to 12 games might just be the answer coming back in January." Tamworth, managed by former Wrexham manager Andy Morrell, are fifth in National League North. Forward Adam Smith has also gone out on a two-month loan, joining National League rivals Guiseley. But Mills has added to his squad with Shrewsbury Town winger James Caton arriving on loan until 2 January. Wrexham hope to have received international clearance in time for the 21-year-old to make his debut at Torquay United on Saturday.